Step 1: Connect your laptop to Camera WiFi. 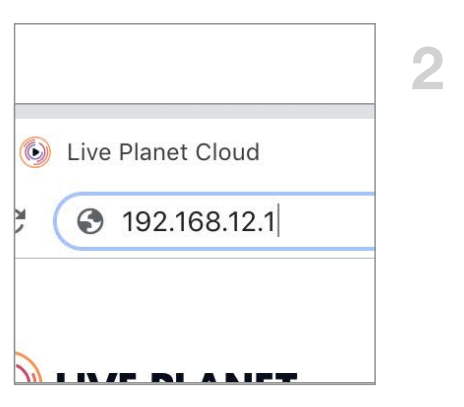 (liveplanet-xxxxxx). 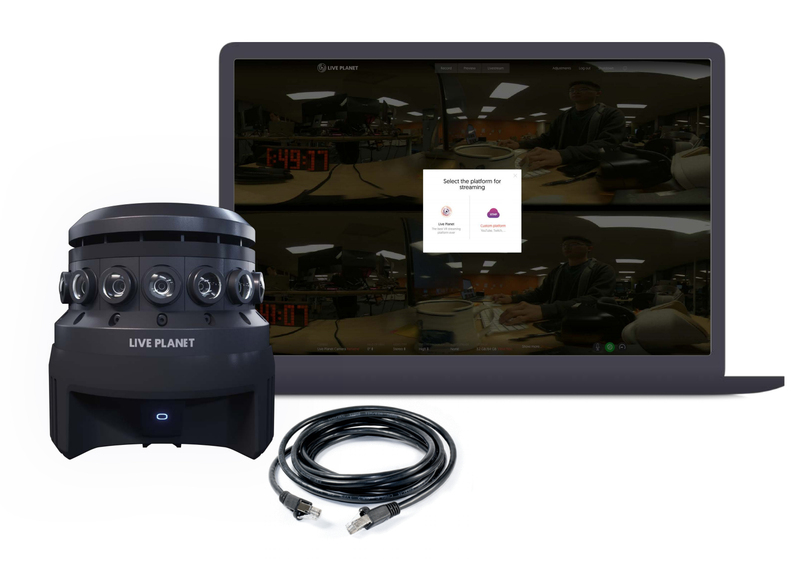 Step 2: Then type 192.168.12.1 from any browser to launch camera software. 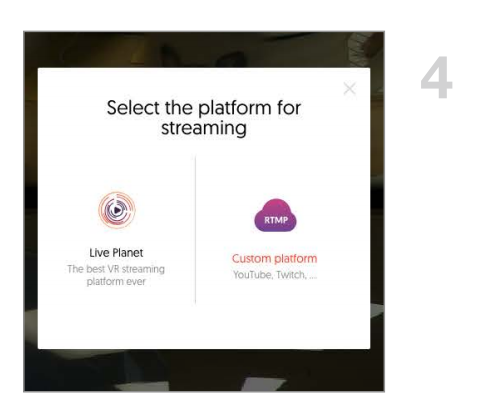 Step 4: Then select “Custom Platform." 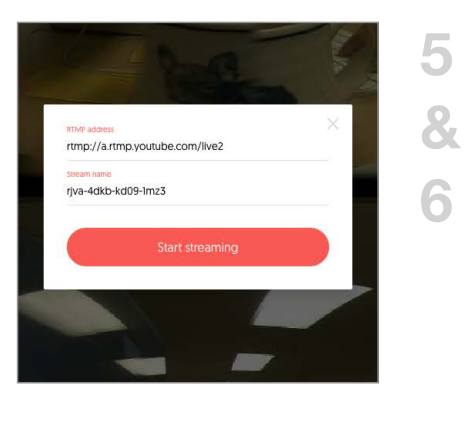 Step 5: Enter RTMP address and stream name. 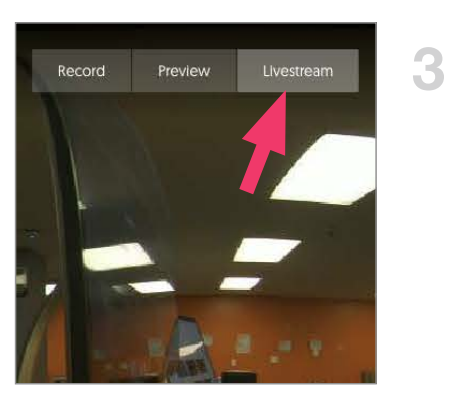 Step 7: Go to your RTMP streaming service and make sure you can see the camera feed.